SEO bloggers can be forgiven for our obsession with Google. Any company that has a more than 70 percent share of a U.S. market (in this case, the search market) warrants the attention of people writing about that subject. As we recently showed with Yahoo!, just because Bing is down in the numbers doesn’t mean marketers can simply ignore the platform. Bing recently announced some changes to its ad format that may make it easier to reach the nearly 20 percent of Americans internet searchers who use Bing. At the end of July, Sirich highlighted four of the changes Bing had made to make their ads better. The changes make it easier for marketers to utilize Bing and to track their results. Bing has also added some features to make it easier for some marketers to use the advertising platform. They’ve added auto-tagging so advertisers don’t have to manually tag the destination URLs in ads. While this won’t have an effect on ad performance, it will reduce the time it takes to manage campaigns on Bing. Similarly, Bing users will no longer have to fax or email insertion orders. Bing has added a feature to Bing Ads and and the Bing Ads API that let’s users track budgets and manage account payments entirely online. 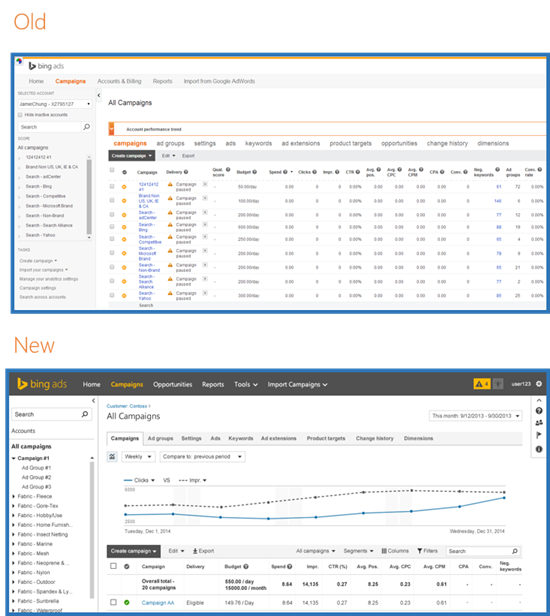 The last thing mentioned about the new Bing features were new metrics for tracking performance. Bing will be introducing a Top Mover feature which they describe as “a diagnostic tool that quickly analyzes ad performance”. Ginny Marvin of SearchEngineLand notes that the Top Mover feature, along with the newly added Opportunity tab, are similar to metrics available on Google Adwords. This gets to the crux of the matter, that Bing is trying to remove the barriers that prevent some Google Adwords users from also using Bing. Making the ad experience comparable of both networks can work to help Bing gain more ad revenue. “The new interface is one of several recent updates such as bid landscape, destination URL auto-tagging, more keyword capacity and online insertion orders that are meant to make interacting with Bing Ads easier and attractive to more advertisers,” wrote Marvin. Since Bing has made considerable effort to make their ad platform easier to user, markets should strongly consider giving their ads a try on Bing. Though significantly smaller than Google’s audience, Bing has a sizeable share of the market. And since many advertisers are focused on Google, there may be a lot of room for small businesses to make a big impact on Bing. To learn what Google’s been up to this summer. Read this article on the new Google Adwords Express App.